There can only be one: the ultimate park ski with Freeski ROCKER technology handles all your tricks. CORES SANDWICH SIDEWALL CONSTRUCTION Wood core combined with ABS sidewalls in a classic Sandwich Construction for balanced flex and perfect rebound. TECHNOLOGIES CARBON TECH Special network of carbon fibres with exceptional torsion properties and a balanced stiffness pattern at the same time. TECHNOLOGIES BEECH POPLAR WOOD CORE Stability combined with lightness for balanced flex. TECHNOLOGIES FREESKI ROCKER The shorter contact length of the ski ensures that turn initiation is easier and requires less effort. Five different types: All Mountain ROCKER, Freeski ROCKER, Tour ROCKER, On Piste ROCKER, Hybrid ROCKER. EDGES / BASES SINTERED BASES Sintered bases have exceptional waxing properties and a very long service life. EDGES / BASES SUBLIMATED BASES Special printing process for high-quality colour base designs. I am looking to purchase the Fischer Guru skis. They are sold out?. Or if you have similar skis for sale i would also be interested. Yeah, the Gurus are sold out. We have tons of other park skis found here: https://www.the-house.com/skis-park-and-pipe-skis.html. Feel free to chat with us on our LiveChat feature to figure out which other skis would be good for you! Looking at buying this I usually ski double blacks and backside runs. Will this ski be fine for mougals and groomed runs? while you can use this ski on most runs, the Fischer Guru was designed with park and pipe riders in mind. Ok how bout the k2 line ski? I am choosing between these and the head cadys. I mostly ride park and am 5"9 135. What do you think would be better? 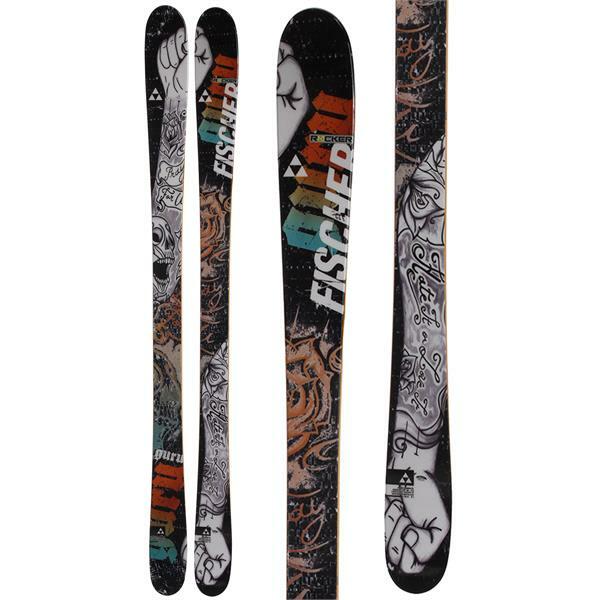 That's a tough choice, you can't go wrong with either, but I'd choose these Fisher Guru Skis. Where would this ski fall on a scale of 1-10 in terms of flexibility? Would it be stiff enough for bigger jumps? 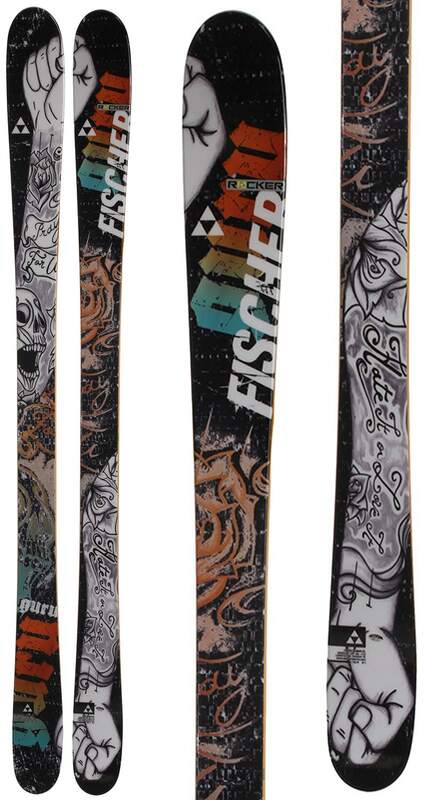 BEST ANSWER: The Fischer Guru Skis are mid flex, like a 5, so they are soft enough for park, but can handle bigger jumps. The torsional (twisting flex) is also mid flex. hi dear, i am looking for ski that is good for on-piste and powder, not deep powder. is fischer guru suitable for on-piste? i know it is a park and pipe ski. if i want to ski on-piste is there any mail problem with that?? usually i ski on piste but some times i go around the piste which has some powder and i would like to have a ski which be suitable for both. BEST ANSWER: Hi Dear yourself Parsy! The Fischer Guru is a super fun and lightweight park and pipe ski that skis switch just as good as it skis forward. It is a fun and lively ski. The Guru is mainly a park ski. You can definitely have fun with it on the rest of the mountain but it really wants to live in the park.